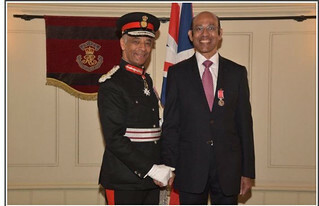 29 December 2018: British Empire Medal, Civil Division. Central Chancery of the Orders of Knighthood. St. James’s Palace, London SW1. THE QUEEN has been graciously pleased to approve the award of the British Empire Medal (Civil Division) to the undermentioned: B.E.M. Walter Benedict Anthony DA COSTA. Asset Recovery, Finance and Data Analysis Lead, Strategic Centre of Organised Crime, Office for Security and Counter Terrorism, Home Office.